How a deeper understanding of Matthew 9:37-38 changed the way I pray about recruiting missionaries. I gasped as I saw the definition of the word. Oh, I had prayed this prayer before, but I had no idea. Never saw it coming. I’m still not over it. I’ll never pray for workers the same. Silence in the room. God had showed up and erased the whiteboard. It was embarrassing. We were all Bible believing and practicing mission leaders. We had simply let good, reasonable ideas take precedence over the words of Jesus himself. I never saw it coming. I’m still not over it. I’ll never pray for workers the same. While there are several possible Greek words for “ask/pray” in the New Testament, three are predominant. The third word for “pray” in the New Testament is “deomai” and this one is the word Jesus is using. It generally means “to lack or be in need of,” from which we get the idea of request, beseech or beg. More specifically, it can mean that we are approaching God with an urgent need and imploring him to intervene. 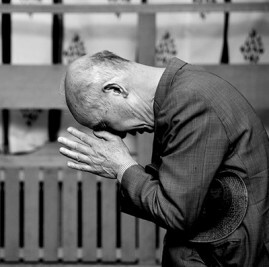 In that sense, it is the strongest possible word for prayer. Two examples outside of the Matthew 9 passage use “deomai.” In 2 Corinthians 5:20, Paul says, “We implore (deomai) you on Christ’s behalf: Be reconciled to God.” And perhaps a more graphic example is the story in Luke 9:40 of the father of the demon-possessed boy who begged (deomai) the disciples to drive out the demon. That’s the idea in praying for God to send out workers: I implore him; I beg him. This is serious prayer! Compassion. That’s the motivator. The images started flooding in. I saw the little boy in Congo, standing alone in the round-about, with thousands of other Rwandan refugees all around him as he was sobbing. In the maze of people, he had evidently lost his parents. Fear, insecurity, loneliness. It wasn’t hard to know his feelings. There was the refugee woman clinging to the one bag of possessions she had after walking for days to the safety of this neighboring country, only to find herself with tens of thousands of others tightly bunched together on the road that was taking my family to safety in Uganda. Driving 1 mph with the horn blaring, I gently bumped her by mistake and then saw her glazed eyes. Exhaustion, violence, genocide, lost family, personal abuse. She had seen and experienced it all. There was the Congolese worker who came to work one morning at my home and sat on the bench under our back porch roof and wept. He had four sons and then finally, his wife had given birth a few months earlier to a baby girl. But just the night before, the baby had died. He was inconsolable. One by one, those images and more flooded my mind with deep, penetrating anguish for the suffering people of the world. How many times had I cried out to God to DO SOMETHING? Compassion HAD motivated me to pray. But I had never realized until I deeply understood Matthew 9:36-38 that I was fervently praying for the wrong thing! Jesus’ answer for harassed and helpless people is workers. Sure, people may need food, shelter, and money for the immediate, but ultimately the solution is workers. And when I see these broken people’s plight, I am motivated to plead to God to send workers. “Pempo” is a basic word for send and could be used of my wife sending me to the store for something. It is a physical sending or causing to go. “Apostello” is another more common word for “send,” and it means to commission, in the sense of authorizing and instructing someone to perform a definite task. Jesus uses this word to “send” out his disciples just five verses later in chapter 10. But as great a word as it is, “apostello” is not the word used in Matthew 9:37-38. That word is “ekballo,” and when I looked closely at that word, I was stunned. Having looked at this verse in detail, one cannot miss the incredible offer Jesus is presenting to us. When you pray your heart out, God moves people into the harvest. It is a blank check signed by the God of the universe. So what are the implications of this for an organization like WorldVenture? We have to pray! Fervently! Desperately! We need committed pray-ers as much as we need actual cross-cultural workers. We need every U.S. staff person, every missionary and every church member to plead with God to thrust out workers. We need to focus our prayer not simply on the lost or the unreached, unengaged, unchurched and unwanted but on workers for those significant peoples of the world. We will only be motivated to pray intensely if we make compassion the basis of our prayer even as Matthew 9:36 suggests. Only the compassionate heart of God within us will move us to pray in this way. So, pray! Join me in making this the most important ministry we do in 2016. Doug Hazen is the director of prayer mobilization at WorldVenture.